At Stay-at-Home Parents, Guide Barbara Whiting wrote a wonderful article about how these rolls can be used to teach children about Jesus' resurrection. Take a look at her article, then make these rolls. And these rolls are good any time of the year, not just at Easter! 1. Preheat oven to 375 degrees. Spray 16 muffin cups with nonstick baking spray containing flour. Lining them with paper cups won't work - the finished rolls will stick to the paper liners. In a small bowl, combine 1/4 cup sugar, flour and 1 tsp. cinnamon; mix well and set aside. 2. Place dough on lightly floured work surface and roll out to a 12" square. Cut into 16 3" squares. Sprinkle 1 teaspoon of the cinnamon-sugar mixture on each square and press slightly into dough. 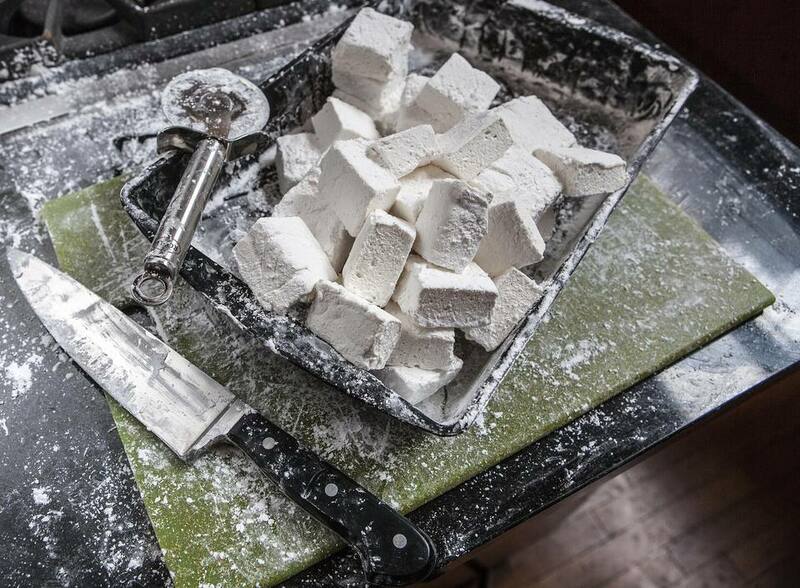 Place a marshmallow in the center and form the dough around the marshmallow, sealing the edges well. Make sure that the marshmallow is completely covered with dough; pinch the edges thoroughly to seal. 3. Dip the filled roll in melted butter and roll in remaining cinnamon sugar mixture; place in sprayed muffin cup. Repeat with remaining marshmallows, dough, cinnamon sugar mixture, and butter. 4. Place the muffin tins on a large cookie sheet because the filling might spill over in the oven. Bake at 375 degrees for 12 to 15 minutes or until golden brown. 5. Remove from oven; cool 1 minute. Remove rolls from muffin cups and place on wire racks to cool.